Imgiguset: Trumpet Hymns is an album by Inuktitut tenor Karrie Obed and trumpeter Mark Turner. It came about as a result of an impromptu performance in Germany. Imgiguset: Trumpet Hymns, an album by Inuktitut tenor Karrie Obed and trumpeter Mark Turner, came about as a result of an impromptu performance in Germany. Obed and Turner were members of the Moravian Brass Band from Nain, and they were in Germany in 2015 for a conference on Moravian music. 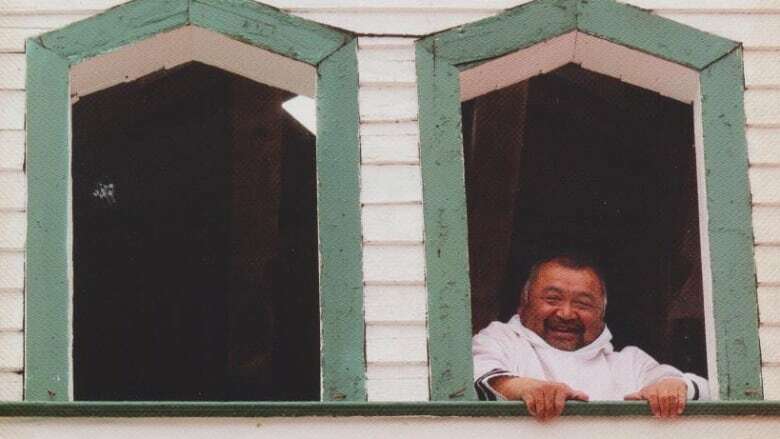 Turner said others at the conference heard that Obed was an accomplished tenor as well as a brass player, and he was asked to sing some Moravian hymns in Inuktitut. Obed asked Turner to join him for support. "So we really quickly decided I would play trumpet and he would sing," said Turner. "Karrie decided to sing the tenor line as opposed to the melody line, and we thought we quite liked the sound of Karrie singing the tenor line and me doing the melody line." "It sounded really good to me," agreed Obed. The duo then recorded a series of hymns in the Moravian churches in Nain and Makkovik, which became the album, Imgiguset: Trumpet Hymns. Have a listen to Karrie Obed and Mark Turner's conversation with Heather Barrett on CBC Radio's Weekend AM. Do you have a new album that Weekend AM should know about for First Listen? Email wam@cbc.ca and tell us about it. You can hear First Listen Sundays on Weekend AM from 6 a.m. to 9:30 a.m. (5:30 a.m. to 9 a.m. in Labrador) on CBC Radio One.